Skateboarding is considered one of the extreme sports which can be dangerous and harmful to your body. Therefore, you need to protect yourself with suitable equipment as much as possible. One of the most essential gears is a good pair of skateboard shoes. A good pair would protect your feet and provide cushioning for them while you skateboard. In addition, it will support you in doing tough tricks. There are thousands of models of skateboard shoes on the market, some are better than other. 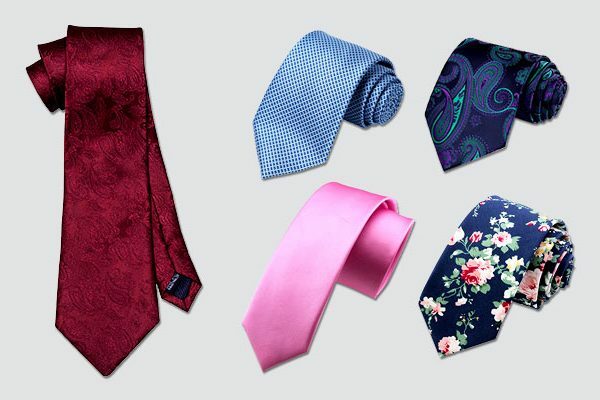 Some are not about better quality but will suit your needs and styles more. How to buy good skateboard shoes? First, you need to think about your style of skateboarding before choosing the right pair of shoes. Different styles will determine different constructions that you would need in the skateboard shoe. If you have to do a lot of tricks like grinds, you need a style that allows greater control on the shoes such as the vulcanized shoes. And in case you often jump and like to perform aerials, you should go for a shoe with a lot of cushioning for heavy duty protection and shock absorption. Stitching line: the shoes should have numerous finely stitching lines with no loose threads. Parts of the shoes should be stitched instead of glued for much more durability and long lasting. In addition, double or triple stitching lines would be better than single ones. Material: You can go for canvas skateboard shoe if you are on a budget and want some shoes for a few seasons. On the other hand, If you prefer something of premium quality that would last for a long time and feel soft on your skin, go for a leather skateboard shoe. Reinforcement: Look for reinforcement parts in the skateboard shoes such as extra layers on top of the shoe, on the sides and on the heel. Weight: In some cases, a skateboard shoes with a lot of reinforcement points will make the shoe quite heavy. Keep in mind that you need to find a pair of shoes that you feel comfortable in and that the more balanced shoes will allow you to do more tricks with it. Grip: A good pair of skateboard shoes needs to be made of gum rubber to be grippy on all kinds of surface. Finally, consult other people about the brands and models of skateboard shoes that they would and would not recommend to you. Find one that has the similar styles of skateboarding like you. You should also do your research and look for various collections of the best skateboard shoes that are available to you. These reviews will help you find the one that meets your preferences and needs. They are also made of high quality and premium material that are guaranteed so that all of your investment will be worth every penny. Its Main Features: This shoe is made of canvas material with rubber sole. It features the lace up skate shoe with the iconic 3 stripe logo and wraparound midsole for a low profile skate performance. There are 3 options of colors for your consideration including navy, black, white and red. This shoe comes with a smooth abrasion resistant upper to be highly protective for the shoes against external factor. The vulcanized rubber outsole is grippy and effective in term of board for control so that you can easily do your tricks while skateboarding. The construction of the shoe is very firm and solid without losing the flexibility you would need for your activities. This shoe take a little bit of time to break in and the material can stretch well to bring comfort for you when you have to wear this shoe all day long. The canvas material of this shoe might not be your ideal choice when you look for a pair of shoes that last for a long time. Verdict: This shoe has board for control, which is suitable for skaters who often do a lot of tricks like grinds while skating. 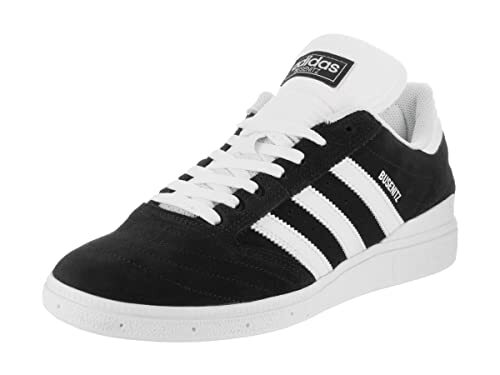 Also if you are looking for an iconic Adidas skate shoes with the iconic Gazelle and Seeley combination, this shoes is a must buy. Its Main Features: The upper part of the shoe is made from leather while the sole is made from rubber. It also features mesh tongue and pill pattern tread. The shaft measures approximately low top from arch with lace up vamp and logo overlay at counter. The shoe is available in various sizes, from size 3 to size 18, and various colors including black, white and grey. The material of the shoe is of high quality to be very lightweight and comfortable. Along with the vent holes and lightweight mesh tongue, the shoe brings a great breathability for the shoe. If you are looking for a stylish shoe, this one is for you. It has laces that represent the 80’s puma vibe while the graphic on the lateral side of the shoe is carefully detailed up to the heel. This shoe comes with a large amount of padding which keep your feet feel comfortable. 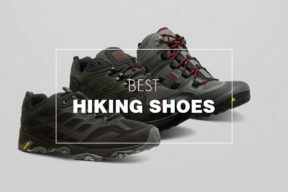 It also provides a lot of effective shock absorption to prevent your feet from getting hurt when you land on the ground. The DC logo on the toe box is attached to the shoe by glue, which means that it would fall off easily after a few washes and wears. Creasing on the toe box occurs quite easily. 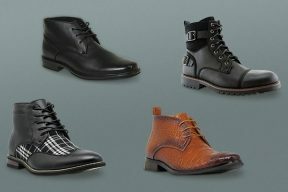 Verdict: If you have difficulties finding the shoe that fits your feet, take a look at this shoe offers you a wide range of size for you to choose from. Also if you like a classic looking leather skate shoe, this one is also your ideal choice. Its Main Features: Here comes another great skateboard shoes from DC. 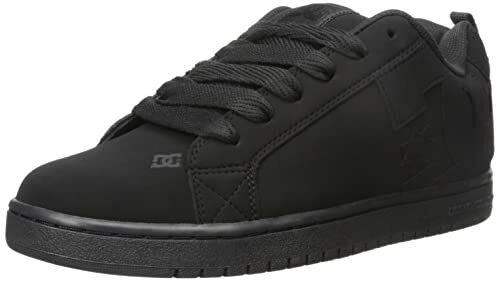 Unlike the DC Men’s Court Graffik Skate Shoe which is made from leather, this shoe is made from canvas textile with fabric sole. The shaft measures approximately low-top from arch. The shoe features a 4 eyelet lacing and padded collar with logo at tongue, sides and heel counter. The midsole wrap with textured toe bumper. This shoe is available from size 3 to size 14. One of the most significant features of this shoe is that you can choose from a wide range of colors including the most basic ones such as black, white and grey as well as many other colorful options such as turquoise, limestone and yellow. 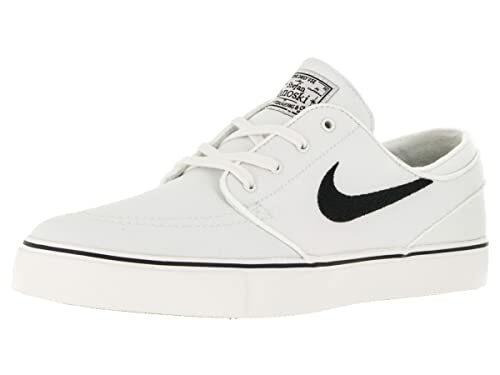 It is super lightweight and comfortable especially when you skateboard on this shoe for a long time. The canvas material is of high quality to be very durable. Along with the sticky rubber outsole, this shoe is resistant against abrasion and scratches. The shoe has foam faded collar and EVA insole to make you are protected from shocks when you land. The canvas upper might not be soft on your skin. Verdict: In case you are searching for a colorful skate shoe with the colors that you can’t find from other models of skateboard shoes. Also provided that you want to buy classic textile footwear, this shoe is for you. Its Main Features: This shoe is made from fabric and synthetic material with rubber sole and rubber toe bumper and denim upper. 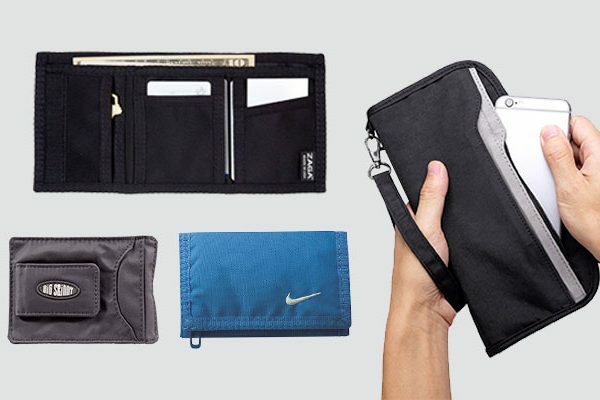 It is available in many colors including black, white and grey. Like any other high quality Adidas shoe, this shoe is made with innovative cloudfoam sockliner for extremely comfortable and lightweight cushioning. The heel patch is made from leather which is super soft on your heel and able to keep the shoe last as long as possible. 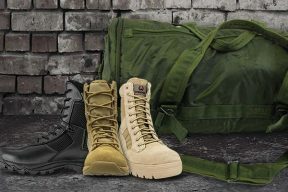 The construction of the shoe comes with pivot point vulcanized rubber to bring you a lot of maneuverability and flexibility without any friction. The insole of this skateboard shoe is soft and smooth with a great ability to wick away moisture, inhibit odor and fungus as well as providing a lot of good air ventilation to keep your foot cool all of the time. The laces are flat and could be able to stay tight all of the time so that you don’t have to keep retying throughout the day. This shoe would not provide as much shock absorption for your jumps and landings as much as other types of skateboard shoes. The sole is quite thin. Verdict: This shoe is perfect if you tend to prefer doing tricks to your skateboarding instead of jumping. 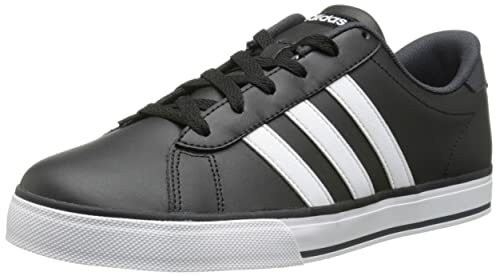 It is also another Adidas classic shoe you should add to your collection if you are a fan of Adidas. Its Main Features: The material of this shoe is leather in the upper shoe and synthetic for the sole. It features a classic round toe skate shoe with wide lacing and perforated underlays. This shoe comes with 30 combinations of colors for you to choose from. It is available from size 3 to size 14. The shoe comes with +TPR Ollie reinforcement to make sure that the shoe lasts for as long as possible. 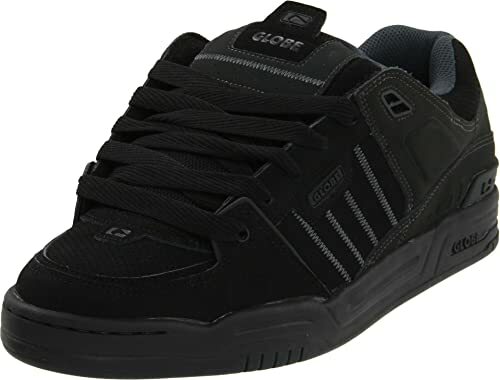 In addition, the shoe comes with the trademarked innovation of the Globe S Trac to make sure that the shoe is extremely grippy and flexibility to allow you to stay safe while skateboarding as well as jumping and landing. Last but not least, it comes with integrated inner sock for a secure fit and ankle support. The material of the shoe is of high quality and long lasting material. 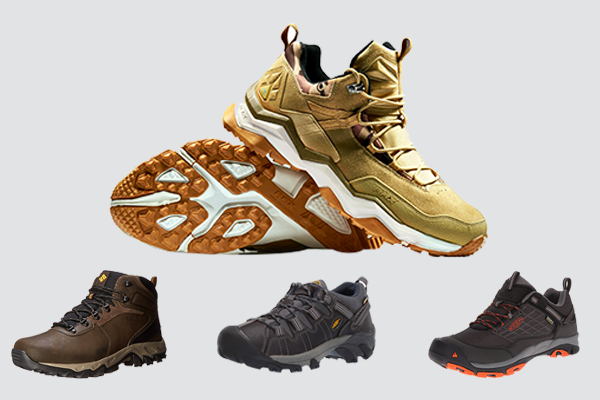 Along with the sturdy and heavy duty construction, the shoe is rugged and highly resistant against extreme external factors. It does look quite bulky. Verdict: This shoe offers one of the highest levels of protection for your feet including ankle and heel support. If you are looking for shoes that support you from jumps and landings, this shoe is one of the best choices you can have on the market. Its Main Features: This shoe is made of canvas material with rubber sole. The shaft measures approximately Low-Top from arch. It features the design with surf inspired retro print from Hoffman fabrics. 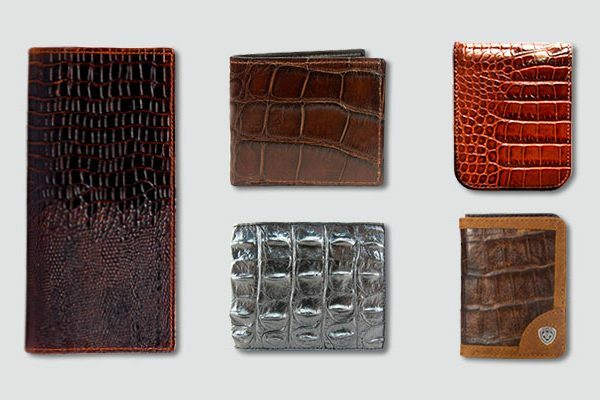 There are a lot of colors for you to choose from including solid white, black, red, blue and grey. The white rubber sole might get dirty easily but you can also clean it without any difficulties at all. The collars of the shoe are padded. And with the re-enforced toecaps, this shoe is extremely durable and resistant against severe external factors. The outsole of this shoe is made with signature rubber waffle material to be very protective and highly effective in term of shock absorption and scratch resistance. It is added with die cut EVA insert for more support for your feet. The construction of the shoes is sturdy and of high quality that it allows you to do a lot of tricks with your skateboarding activities. It also provides a great board feel as well. It is truly a versatile shoe for whatever actions of skateboarding you have in mind. The material of the shoe is soft enough and well ventilated to keep your feet cool all day long. It is a little bit squeaky. The outer sole of the shoe is a little bit stiff. Verdict: This shoe is a great choice for anyone who wants to buy a new pair of skateboard shoes on a budget. 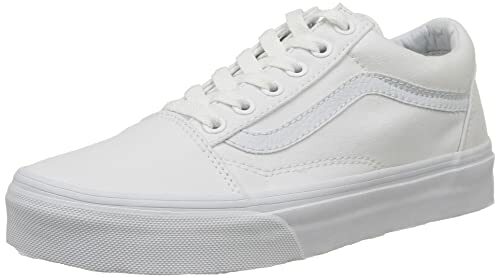 Also this shoe is a great choice to wear not only when you go skateboarding but also it can be incorporated with other casual clothes in your wardrobe. Its Main Features: The material of the upper shoe is canvas while the sole is made from rubber. Like most of the low profile skateboard shoes on the market, it comes with shaft measurement low top from arch. This shoe is available in 6 colors including black, blue, and white and off white check. 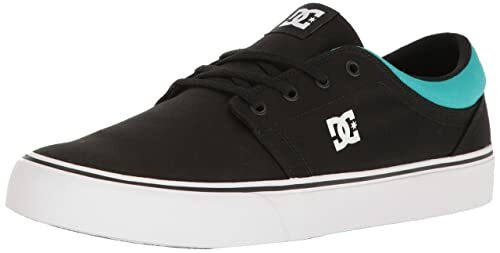 The construction of this skateboard shoe is the vulcanized construction which will surely bring comfort and durability for your feet, especially when you do a lot of tricks such as grinds while you skateboard. In addition, it has a signature waffle outsole for enhanced board feel to keep you maintain balance pretty well when you skateboard on different kinds of terrain. It is supper comfortable thanks to its padded and cushioning foam in the collar and foot bed to make your feet feel comfortable and protective from a lot of actions and movements when you skateboard including jumps and landings. The material of the shoe is of premium quality to be durable. It is also well ventilated and effective to wick moisture away to keep your feet cool. Last but not least, with its design, it is supper easy for you to take this shoe on and off in just a matter of a few seconds. This shoe is not as durable and scratch resistant as other types of skateboard shoes on the market, especially when you compare it with other types of leather skateboard shoes. Verdict: If you don’t want tie your shoe every now and then, why don’t you take a look at this slip on skate shoe. 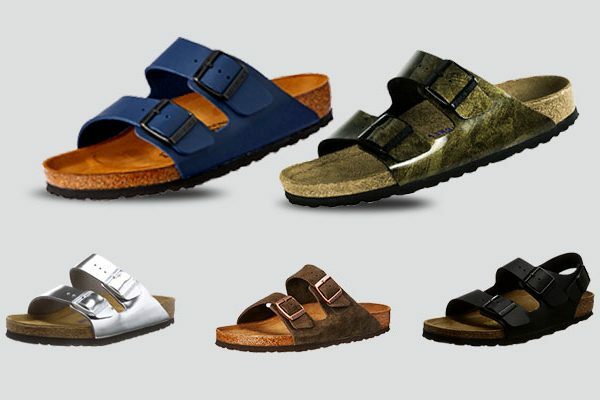 It is also a great option in case you are seeking for basic footwear for your casual style and every day wear. Its Main Features: This shoe is made of suede material with rubber sole and abrasion resistant heel cap. There are several colors for your consideration such as black, white and red. 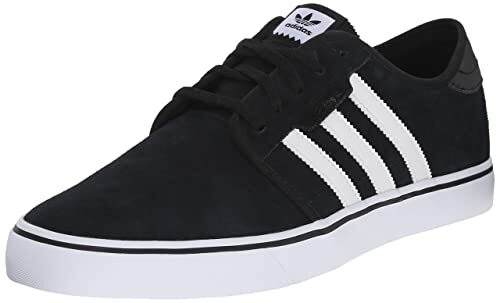 This is another Adidas skateboard shoes on the list offering great quality and premium protection for your feet while you skateboard. The heel cap of the shoe highly resistant against abrasion. It comes with EVA insole for added cushioning. The shoe has the vulcanized construction for superior flexibility and board feel, which allows you to maintain your balance effectively when you run along with your skateboard. The soft material of the inner side of the shoe as well as the tongue makes the tongue stay quite fixed instead of being loose. The tongue of the shoes is long and there are dotted lines for you to customize this part of the shoe and change it to the way that you feel most comfortable with. When the toe of the shoe is flexed, it would make quite a sound with every step. Verdict: This skate shoe is for anyone who wants to have an overall control over their shoe. It also have many unique red shades for your consideration if you want your shoe to look a little bit more different than other black and white skateboard shoes on the market. Its Main Features: This shoe is made from canvas material with rubber sole. The shaft measures approximately Low-Top” from arch. It features pieced canvas upper and lace front with NIKE logo on side. This shoe is available in at least 40 different color combinations. The ankle collar of this skateboard shoe provides a lot of support for your feet without losing any bit of flexibility. The material of the shoe is of high quality to be very well ventilated and durable. The overall construction of the shoe is very solid and sturdy with extremely durable and well cushioned sole to make sure your feet feel comfortable in all of the activities that you take part in while skateboarding. It comes with sturdy a cupsole with the capability to bring board feel for you. It is one of the skateboard shoes that offer a lot of colors and styles for your consideration. It doesn’t only available in black and white solid colors but also many in many other bight options such as blue, red and yellow. This shoe runs a little bit narrower in comparison with other skateboard shoes of the same sizes that you can find on the list. Verdict: In case you are seeking for a skateboard shoe with a classic minimal style skate silhouette, this one is worth considering. Also if you prefer a skateboard shoe with unique color combinations to make you stay outstanding from the crowd, you would find such a shoe with this product. Here is the list of the most popular skateboard shoes for men in 2017 on the market. 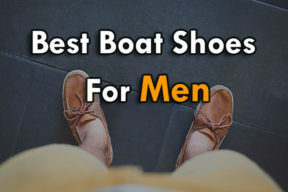 As you can clearly see from the list, different shoes are made from a wide variety of materials with different colors and styles. And they will be more suitable for different needs and styles of skateboarding. I hope that with the information above, you can quickly search through and find the one that meets all of your needs and requirements. 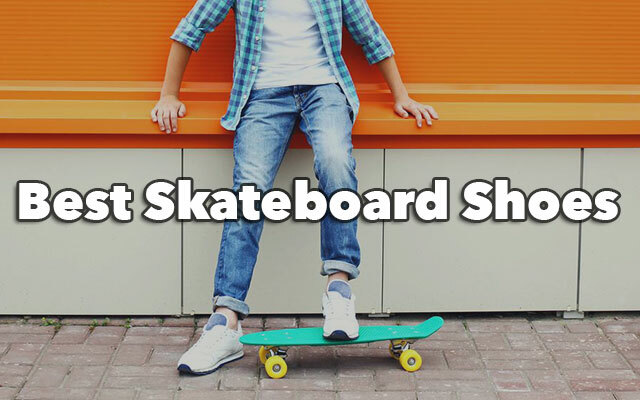 With a proper pair of skateboard shoe, I am sure that your skateboarding performance will be improved and you would be able to stay safe and stylish while enjoying taking part in the sport that you love.